Alan Lomax (1915–2002) was a folklorist, an ethnomusicologist, a record producer, and a network radio host and writer. His work includes the prizewinning 1990 PBS television series American Patchwork and the multimedia interactive database The Global Jukebox, which he produced as an anthropologist for Columbia University and Hunter College. 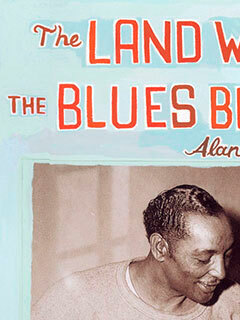 He recorded thousands of songs and interviews for the Archive of Folk Culture at the Library of Congress’s American Folklife Center; his book The Land Where the Blues Began (The New Press) chronicles this experience.